← The Cycles of Saturn: Growing up time! This entry was posted in Dreaming 'Frankenstein', Uncategorized (35 articles) and tagged Astrology, Frankenstein, horoscope, Mary Shelley, Midsummer Solstice, Zodiac. Bookmark the permalink. My natal moon is at 0′ Aries, natal Sun at 4′ Capricorn, and Uranus and Jupiter at 3′ and 5′ Libra. Plus MC at 28′ Gemini. I have learned to be vigilant about my digestive health at the Spring Equinox, and back in my school days I was usually heavily involved with extracurricular activities around the Autumnal Equinox. The solstice holidays are usually great fun for me! 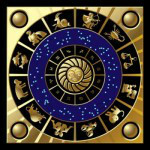 I have Uranus there and unexpected events do happen, best of all was my daughter’s birth, and when I had my second daughter twenty years later Uranus was opposing that point, but i have been given unexpected money, had to deal with the unexpected suicide of my brother-in-law one year. Always something. Nothing so far this year. Actually my relocated Asc is 1 Cancer so no wonder I have events happen here. Thanks, Morgana. Over the years, I have found that the summer solstice and the equinox periods have been the most changeful for me… I began my first career at the autumn one, and my second at the summer one! I have the moon 0.40 in Libra and Mars at 29.46 in Pisces. Yesterday my phone sent a cryptic textmessage by itself to someone Ive long have had a crush on..and this morning the TV turned itself on while I was preparing breakfast. There are midsommer trolls around! and ends …” Isn’t that just the truth? Contemporary examples abound. Don’t they just? I am still pretty obsessed with Mary Shelley and the astonishing fact that such a young person created a modern myth which is as relevant now as it was 200 years ago. I do wish you knew astrology, Linda, since if you did, the relevance of the symbolism would truly astound you! 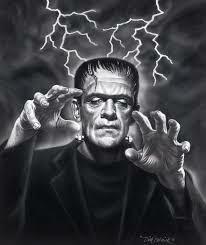 I also love Mary Shelley. Well done with’ dreaming frankenstein’! have also noticed similar things, with my Jupiter 0 degrees Cancer and my sun 30 degrees virgo, and am getting quite a rumbling this week! Thanks for the update :). Very interesting biography; it’s amazing how she tapped into that creative inspiration and stayed with it === and then the muse grew quiet…. yet you peel back the layers and help us understand what is written in the stars…. thanks, anne! Happy to share my Mary Shelley musings any time, Lisa!